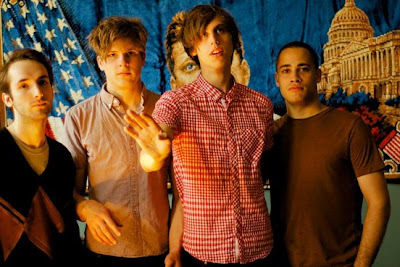 We're aghast that this is the first time we're hearing about Howler, a local band that was just named one of NME's 50 best new bands of 2011. They call it "garage rock with a sun-kissed feel" that fans of Black Lips and The Drums would dig. It turns out the young band has already gotten attention from CMJ earlier this year, which said its sound balances "the loud and dirty qualities of Husker Du and the Replacements with the poppy hooks of the Ronkettes and Shangri-Las." What can we say, we're a sucker for a Husker Du/Replacements reference. They just signed to Rough Trade Records in the UK as well!